Microfluidics is a field that demands accuracy and precision. Prototyping microfluidic devices can get expensive and can be a hindrance of time and limit productivity in the lab. 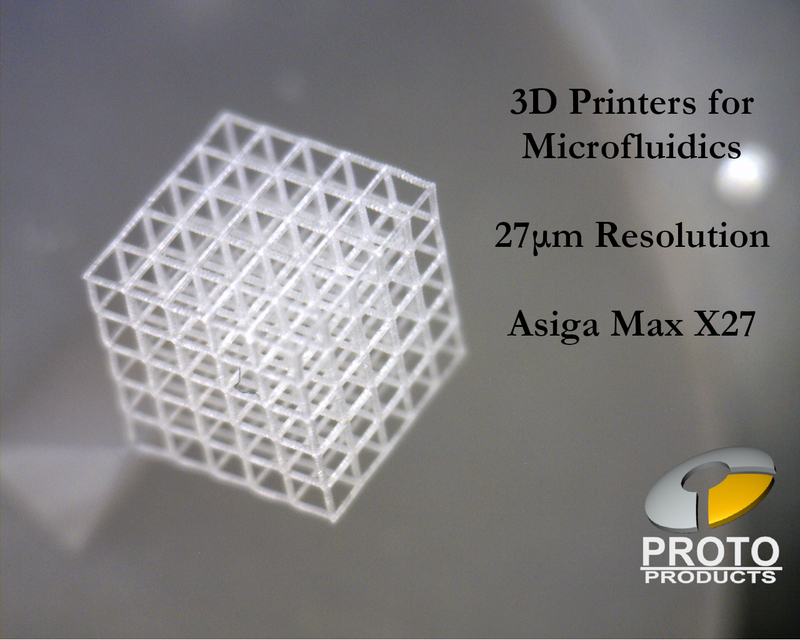 The MAX X Series are the most advanced 3D printers offered by Asiga. 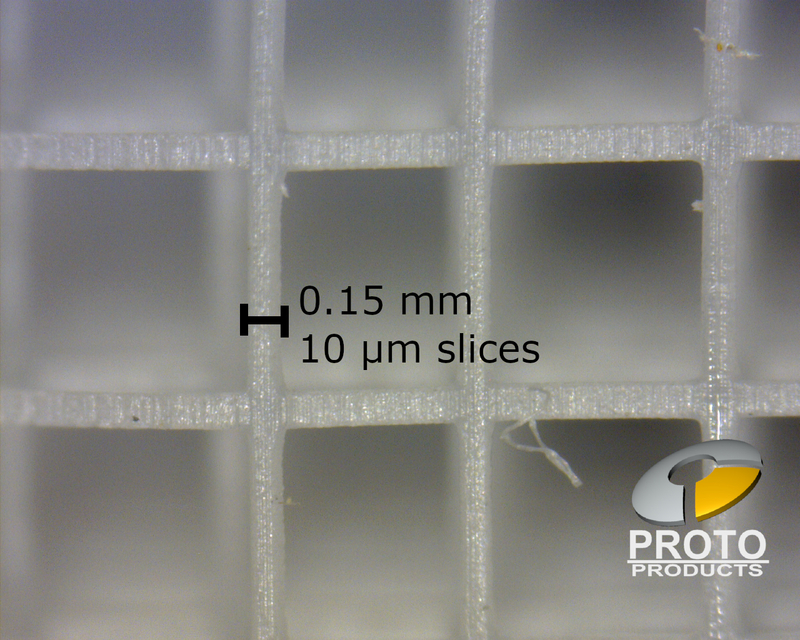 Featuring a pixel resolution of 27µm, 35µm, or 43µm, parts with capillary tubes, nano-pumps, or channels for micro wiring are not only possible but are being done with Asiga equipment every day. Asiga’s Composer software imports STL or SLC files that are a common export file from most CAD programs on the market. It’s just that easy. Asiga’s additive manufacturing systems are designed as plug and play right out of the box. You do need to install the Composer software on your computer and register your machine on the Asiga website. Onboard solid-state operating system. No computer connection required to run this machine. New SPS (Smart Positioning System), uses 4 position encoders to determine exact build position and parallelism to guarantee precision layers and optimum performance. Can be networked via direct LAN, network LAN, direct Wi-Fi or network Wi-Fi. Internal radiometer ensures constant LED calibration and precise exposure times. Build envelope temperature system monitors and maintains the build envelope heat parameters that you choose. Machine settings that can be customized for your situation. Ultimately customizable build parameters in Composer to allow you to tweak your system to your needs. All Asiga systems including the new MAX X systems feature an OPEN MATERIAL SYSTEM, allowing build materials from most manufacturers designed for DLP/DMD systems to be used. Biocompatible and engineering resins from a range of manufacturers are currently being used with the Asiga Systems. Outsourcing the production of microfluidic devices can be risky from a proprietary and cost perspective. Producing your own devices can eliminate those issues. Create a Droplet System to create a Double Emulsion System or a Lab on a Chip for medical research etc… Design, Setup, Build. 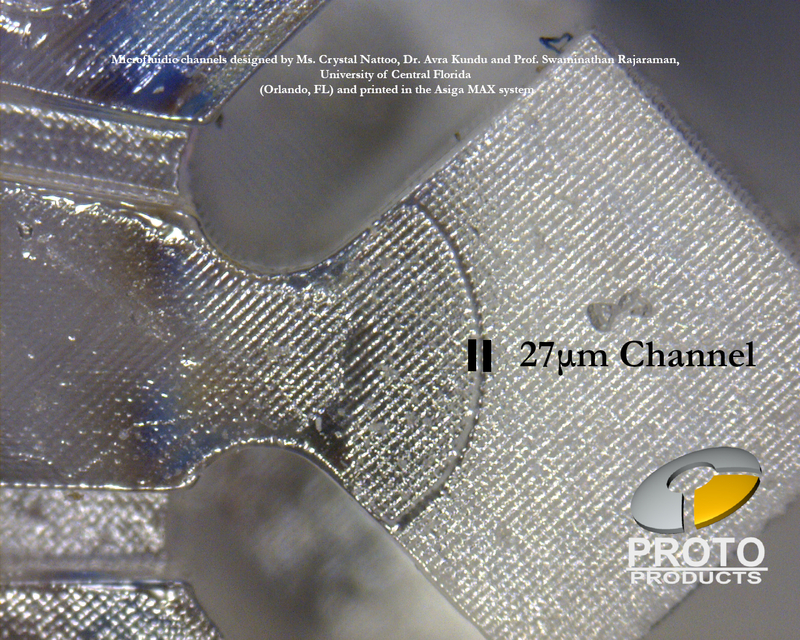 Proto Products and Asiga offers the best customer technical support in the 3D Additive Manufacturing Industry. Proto Products offers additional local support for equipment, software, or issues related to product and process engineering for many industries. Online training is available from Proto Products via the TeamViewer program at no charge. You can also come to our location or we can come to yours. Onsite training is additional for travel, lodging, and site time. 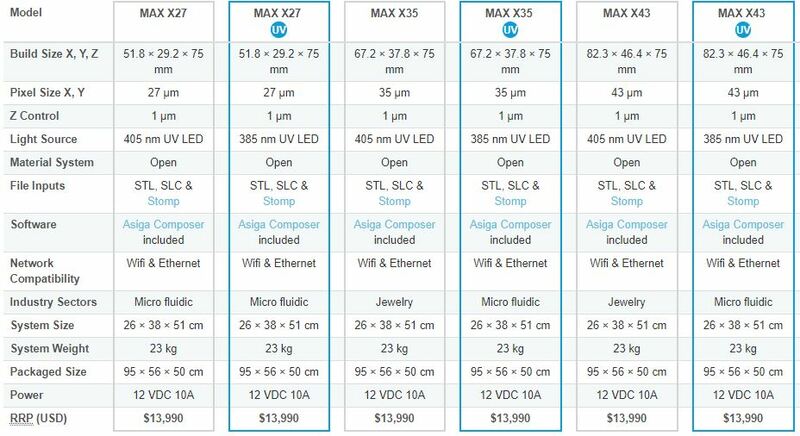 Amazingly low prices for leading edge, well-engineered, 3-D additive manufacturing systems: Asiga’s pricing gives you the choice of a cellular approach to rapid prototyping where each CAD modeler has a 3D printer nearby to run parts, or you can use a centralized network system where materials or build styles are assigned to specific machines where an assigned point person cares for and operates your machine bank. 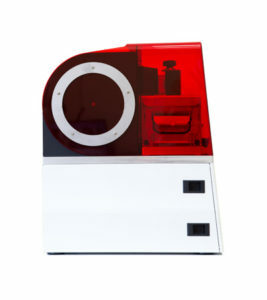 Several of Proto Products' customers are doing big things with their Asiga machines. 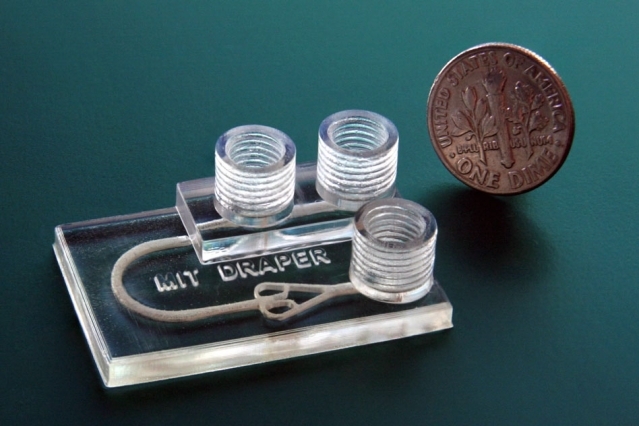 Researchers at MIT & Draper Labs have designed and built a new microfluidic device that is used to customize cancer treatment to each individual patient's biology.